The updated edition of a kitchen classic, now with 30 new recipes for favorite savory holiday dishes Keep age-old holiday traditions alive and start delicious new ones with A Treasury of Jewish Holiday Baking, nominated for a Julia Child Cookbook Award. 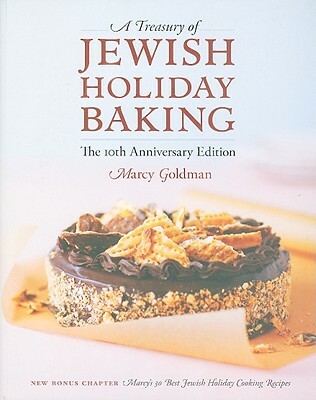 Professional pastry chef and BetterBaking.com creator, Marcy Goldman has lovingly assembled a comprehensive collection of easy-to-follow, time-tested recipes from one of the world's great baking traditions, from sweet raisin challah for Rosh Hashanah to apricot-filled Hamantaschen for Purim and velvety Shabbat marble cake. Now bring the warmth of the holidays into your own home with hundreds of easy-to-follow, time-tested recipes, certain to bring back old memories and create new ones.